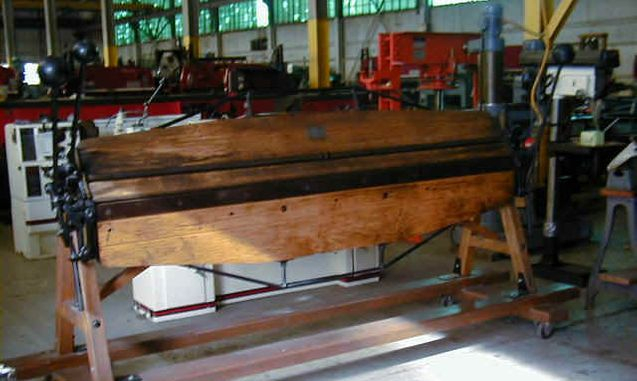 Batavia Machinery was established in 2000, after leaving the family business at Joe Clar and Sons, which was started in 1920. We serve the sheet and plate metal fabrication industry. We offer our services throughout the United States and Canada. With so many satisfied customers, we understand what service is and what our customers are looking for. USED 8' X 16 GAUGE WOODEN HAND BRAKE FROM THE 1800"s Era!